The contemporary thermostatic bar shower valve with telescopic shower kit is part of our contemporary collection of bathroom products. Modern styling with chrome finish and constructed from solid brass. 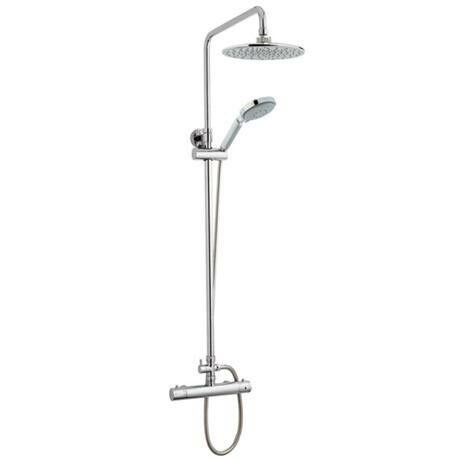 Features both a large handheld shower and a fixed rain shower head which sits on a adjustable riser.